Marlow was taught by Samuel Scott (1701-1772) and studied at St Martin?s Lane Academy. He travelled widely in France and Italy and exhibited at the Society of Artists and the Royal Academy from 1762. He lived in Twickenham from 1778 and exhibited a number of local views. His work is very much in the eighteenth century watercolour tradition. A signed version of this view, of the same size, was sold at Sotheby?s on 7th July 1983, lot 117. Marlow was taught by Samuel Scott (1701-1772) and studied at St Martin?s Lane Academy. He travelled widely in France and Italy and exhibited at the Society of Artists and the Royal Academy from 1762. He lived in Twickenham from 1778 and exhibited a number of local views. 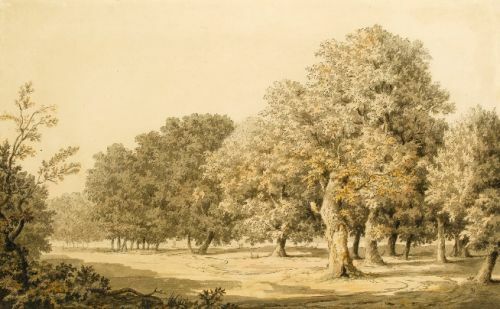 His work is very much in the eighteenth century watercolour tradition.